Thousands of satisfied customers, a team of professional locking technicians, and support that goes all the way – those are the qualities that have set Fast Locksmith Sandy Springs on top of the others. We at Fast Locksmith Sandy Springs has been providing the best locksmithing solutions and systems to our clients for years now and we are still keeping ourselves up to date so we can guarantee you that with us by your side, you rest assured your properties are all kept safe and secured. You can get to know us better at www.fastlocksmithroswell.com or you can contact us at (770) 679-3117. If you are looking for a fast locksmith service and a reliable one at that, then you just found the right place. Fast Locksmith Sandy Springs not only provide speedy and reliable lockouts service, you can also trust us to provide affordable locksmith fees and state of the art locksmithing systems. 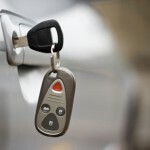 For your car locksmith needs, we can offer you lockouts services if your keys locked in car or replacement vehicle key when your ignitions switch keys lost or brook. We can also replace and programming high security key fob and car unlocks support 24/7. At Fast Locksmith Sandy Springs, you can rest your worries aside for your commercial space or your residence property as it can be secured at all time with the aid of our locksmith security. For your residence home, we can unlock your entry door locks, change or rekey front locks and even install new high security locks. Our reliable locksmith service can also do safe box unlock if needed. 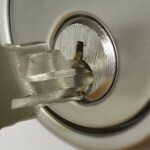 For your commercial space, being the most professional locksmith in Sandy Springs has, we can do any type of commercial locksmith service, which includes, but is not limited to safe unlock, expert lock change, office lockouts, business lock replacement, rekey and repair, among many others. Fast Locksmith Sandy Springs is the best local locksmith in Sandy Springs, GA and Metro area, our services are on 24/7 base. Our locksmith business can surely assist you in any locksmith needs that you may require. For a fast lockout response, call us at (770) 679-3117 or visit us at 20 Mimosa Blvd‎ Ste-128 Roswell, GA 30075. You can learn about our keys and lock services at our official website http://www.fastlocksmithroswell.com/.